← Previous Previous post: Can you name the man on the couch? Unfortunately it’s not just about how many trains/trams the network has, it’s how many it can handle. For the trains, level crossings, warped track & poor design of the loop/network mean we’re stuck with a finite number of trains. Until the state government is prepared to shell out the millions required to remove ALL level crossings, repair the track & change the loop traffic things will not change. 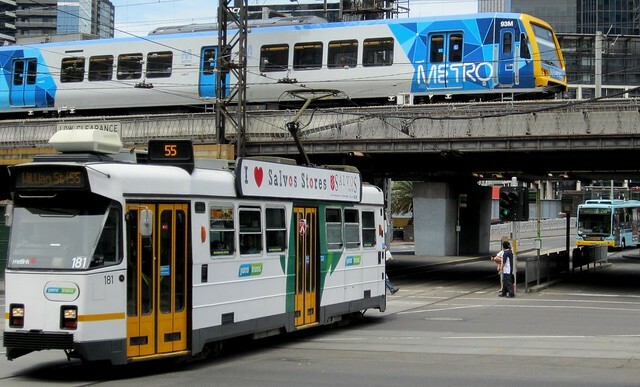 Trams designed for Melbourne! It has been a while since we had any of those. Nice photo, except I would have liked a white bus. Buses are less than $500,000 each and therefore quite popular with bean counters. Of course, no politician of any colour has yet seen fit to add one (yes, one) to the route I could use to travel to and from the station in the morning. So I have to drive. Craigieburn lines biggest woes, right there!